The titan SD top is Summit's largest top with a wider climbing width and length to accommodate big hunters or anyone who wants some extra room. In addition to more space, the titan also provides a generous 350-pound weight capacity to handle heavier hunters and their gear. 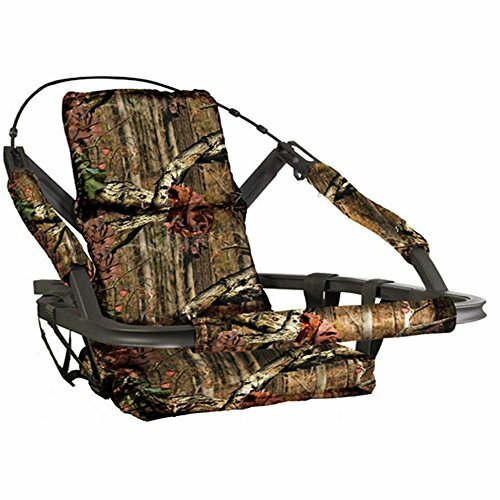 Built for comfort and flexibility, the stand features a padded seat that adjusts up and down for bow and gun hunting, with a multi-purpose, solid front bar for easier climbing and to serve as a gun rest. The two-piece seat also buckles, allowing you to remove your seat quickly to assume a standing position.